atelier “ascenseur” is presenting “Vernal” as part of it’s spring 2014 program. This exhibition explores the concept of nature’s renewal and rebirth in contemporary art objects. 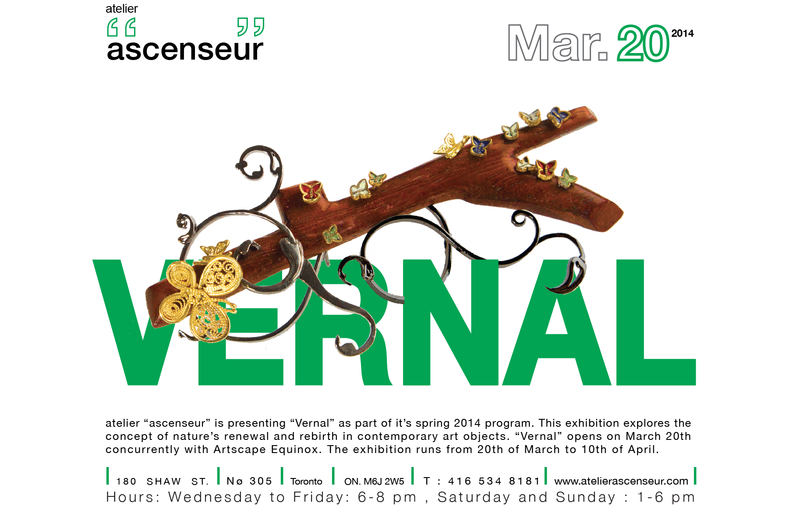 “Vernal” opens on March 20th concurrently with Artscape Equinox.